Robe : Golden almost orange highlights. Nose : Bread, almond, gorse and wild peach, cinnamon, racy. complex, clearly defined, refined distillation. Palate : Fruity, very rich, orange, fresh, very long aftertaste. 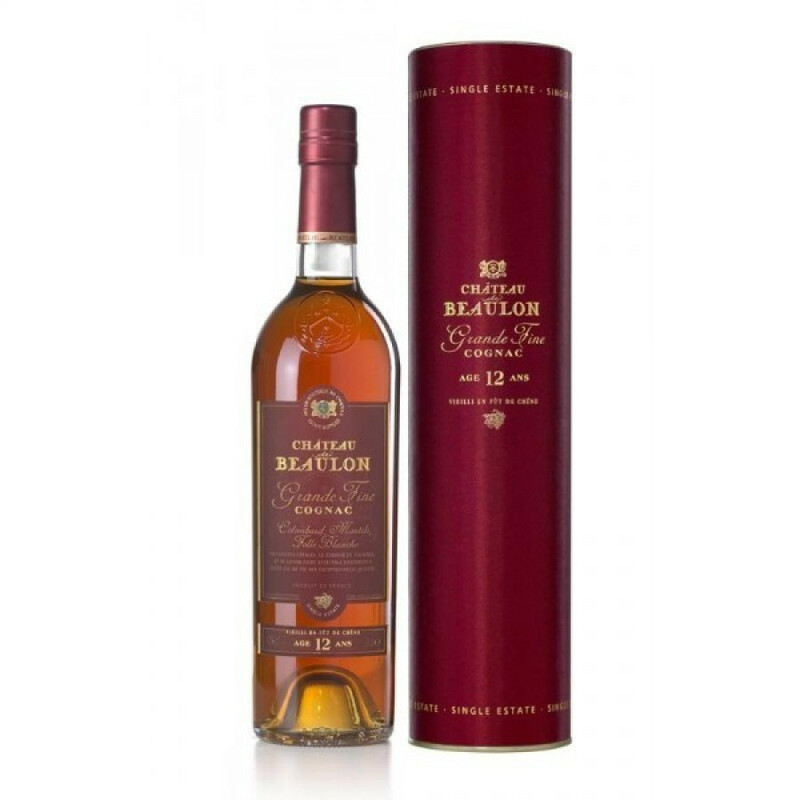 Chateau de Beaulon 12 Years Old Cognac is an XO Premier blend of eaux-de-vies from the Fins Bois terroir. A golden, almost orangy color, this cognac offers exceptional value for money for one of its quality. As the name suggests, this is a cognac that's been aged for 12 years.